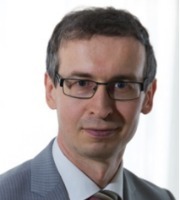 Einari Kisel is the Regional Manager for Europe in the World Energy Council Secretariat. Before joining WEC in 2012, he was engaged for 10 years as the Undersecretary of State for Energy in the Ministry of Economy of Estonia. Until 2002 he worked for 7 years in the Estonian energy utility Eesti Energia, during last years as the Director of Trade. He has received Master degrees both in Thermal Engineering and in Business Administration from Tallinn University of Technology, and is currently a PhD Candidate in Energy Policy in the same university. Married with 3 sons.